Ok, I think I found a solution. Now what I need is your feedback, in order to know if I can continue working like this, or you will not recommend what I did, for some reason. 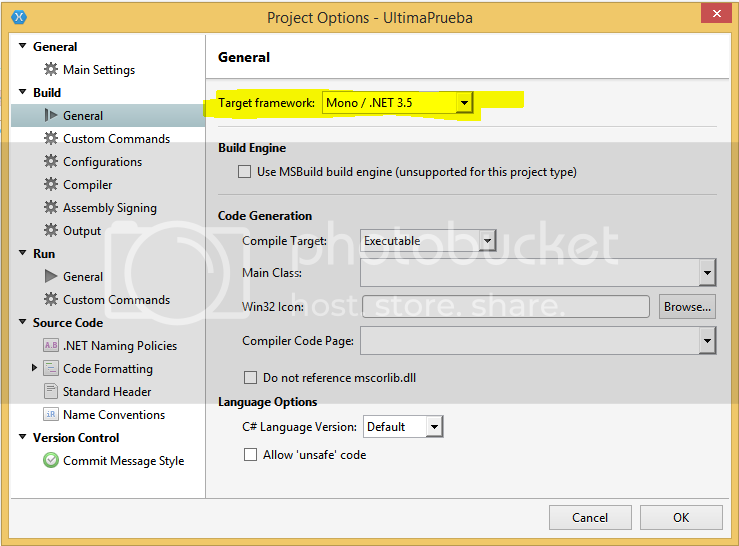 I just went to the project option, and changed the Target Runtime, from Mono / .Net 4.5 to Mono / .Net 3.5 and now it seems to work, or at least, I can run it with “Mono Soft Debugger fro Monobrick”. Now when I run it, it shows and error saying that InfoDialog class doesn’t have a constructor accepting just two arguments, but that’s fine, as the definition of the constructor at the class, clearly shows that it waits for 3 arguments. I will be waiting some feedback from your part, in order to know if it is ok to develop with this settings.